I’ve decided to start spring early… even if the weather man is sticking to the official start date of March 20th for the northern hemisphere! With the freezing chill of the Beast from the East hitting us in Switzerland (as well as the rest of Europe) this week it couldn’t feel any further from spring right now! But as well as being super keen to get spring started I also wanted to share my capsule before the official date to give you guys some inspiration for your spring capsule too! 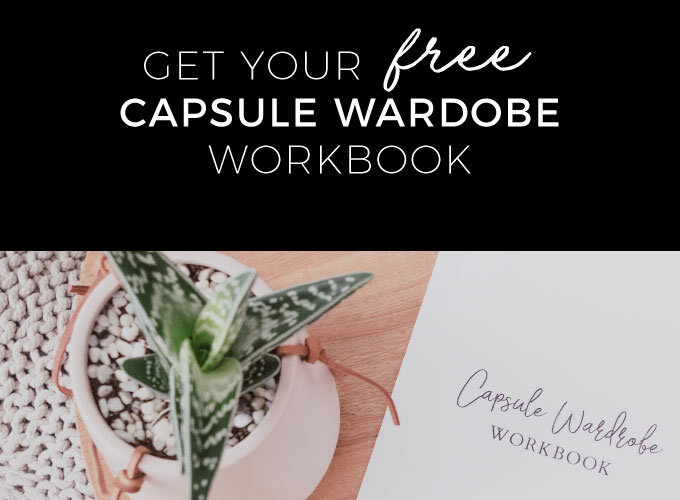 This is the third seasonal capsule wardrobe I have put together and I definitely learnt some lessons with my first two. I talk all about my autumn hits and misses here and my winter hits and misses here. 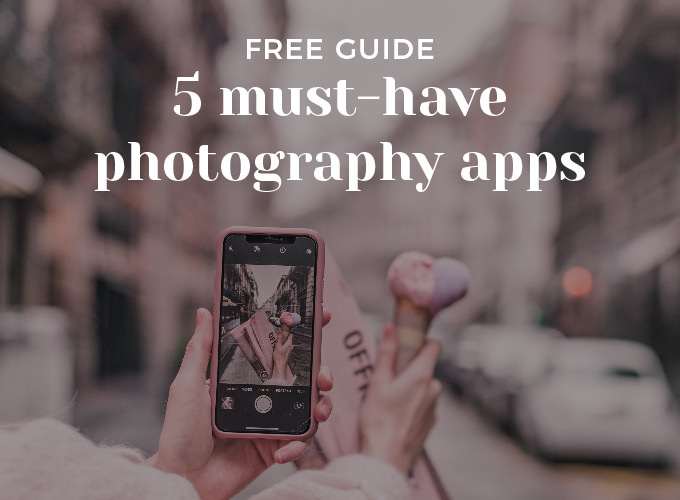 I’m hoping you can avoid my mistakes and also benefit from understanding the pieces worth investing in. 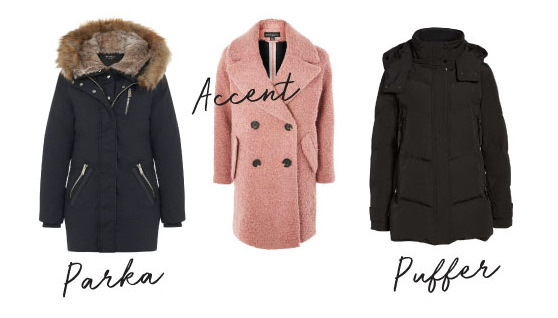 I have learnt that the in-between seasons (autumn and spring) have such a wide variety of weather conditions that I’ve made sure I’ve included items for the whole spectrum – from sunny and warm to chilly and snowy! Yes we got snow in May last year!!! Crossing my fingers that was a one off situation, but I think I’m dreaming! Another big lesson I learnt from my winter capsule is that I went too basic with my basics and ended up feeling bored by the end of the season. If you’re a basics lover then that might not be a problem for you, however I felt I just needed some more detail and colour. So this time I have been conscious of that. In my creating a capsule wardrobe post series I give guidelines around 30, 40 and 50 piece wardrobes. For this seasons’ capsule my total count came to 37 pieces for my spring capsule wardrobe. I came in over my 32 piece count for my winter capsule because I have included more variety to avoid getting bored. Below I’ve listed a breakdown of my 36 pieces and whether they are old existing pieces or new to give you a little insight into my process and decisions. Silk Cami – Cami NYC (existing): A detailed cami is perfect for dressing up jeans or a skirt, for warmer days, and for layering under a jacket or cardi. Basic Tee – Witchery (existing): A versatile white tee is essential in any wardrobe. Pattern Shirt – Madewell (new): In an attempt to avoid wardrobe fatigue this season I have included more detailed, patterned and coloured pieces and this is one of them! 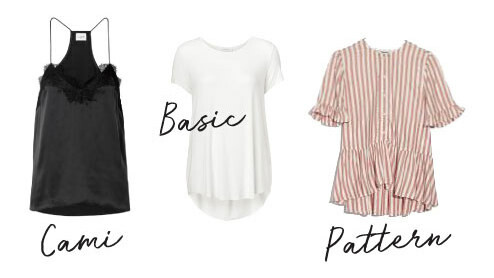 Basics – From left to right BP / Madewell (both new): I’ve kept my basics to a minimum with this capsule because last time I felt I had too many and it just got a bit boring. But you can’t go wrong with a black and white basic long sleeve for layering. Detailed – From left to right Chelsea28 / Wilt / Free People / Mink Pink / Gibson (existing and new): I am the kind of girl who doesn’t pick up an iron very often. Yes that was disappointing for Jason (sorry, not sorry). So when I am choosing tops that will potentially have layers on top of them I like fabrics that are comfy and don’t get crinkled. I love all of the pieces because they have fun unique details and/or a pop of colour! Accent – Free People (new): A classic cut light sweater in my accent colour – perfect as a top on it’s own or with a heavier knit over the top for days when you need lots of warm layers. I also love the deep V-neck for showing lacy details or giving you space to wear a necklace. Textured – Oysho (existing): This fluffy sweater is a neutral shade that will go with anything but has a cosy teddy-bear like texture.A tip – before buying anything fluffy make sure you test it by rubbing it against something dark to see how much (if any) fluff it leaves behind. The goal is to find one that doesn’t leave anything behind! Heavy – H&M (existing): This heavy cable-knit is a great basic, it goes with everything and can be worn as the top layer or under a coat on extra cold days. Multi – Urban Outfitters (new): My accent sweater is a multi-tone knit. As good as solid colours are for mixing and matching some days you just feel like wearing a statement piece. The thing I like about this one is that it incorporates a few of the colours in my colour palette so is still really versatile. Cardi – Vila (new): A detailed cardigan that is perfect as the top layer or for layering under coats on colder days. Also great for those days when you want to avoid that ‘I just got electrocuted look’ after peeling off a sweater full of static energy! Denim – ASOS (existing): Well it’s denim… I think that justifies it right? And this one is over sized so it can fit a few layers underneath it but also looks great over dresses. Leather – ASOS (existing): The classic leather jacket. It goes with almost any outfit and works perfectly over sweaters for a little bit of extra warmth. Puffer – Vince Camuto (existing): This puffer was a lifesaver in winter. Perfect for everyday running around or and if you choose wisely can also be dressed up a bit. Simply pair with leather boots and a pretty scarf and beanie. Parker – ASOS (existing): You might be ok with sticking to the puffer as your only basic coat, but I tend to get bored when I wear the same thing everyday. So I’ve also included a parka in my capsule. The removable faux-fur trim adds a little bit of detail that the puffer doesn’t have. Accent – Vila (existing): If you are spending the day or night outside your coat is the only thing people will probably see of your outfit. And as good as black is, sometimes you want to get a little bit fancy. That is where you can choose something with some colour or texture. 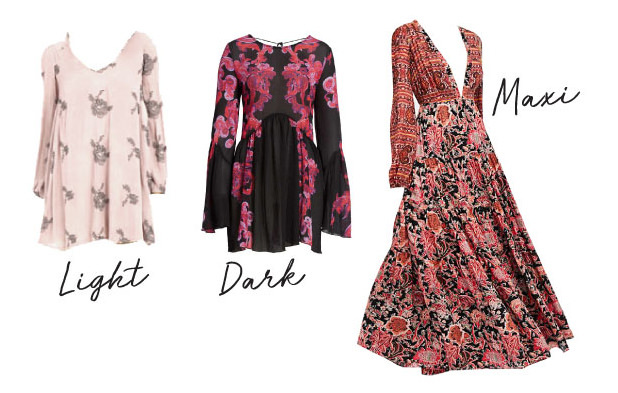 Mini Light & Dark – Left to right Free People / Free People (new): Spring was made for florals and dresses! But I know that half of spring will probably be too cold for mini dresses, so these two were chosen strategically because they have long sleeves and can also be worn as tunics with jeans or tights! Maxi – Free People (new): This maxi is perfect for cooler spring when you just feel like wearing a dress and skipping through flower fields… you know those days right? You can pop on a pair of sneaky tights underneath, team with ankle boots and a denim jacket and skip until your heart is content. As an extra bonus this dress has pockets! Seriously does life get much better than a dress with pockets? Nope. I don’t think so either. Skirt – Free People (new): This midi skirt is to help me break my jeans addiction! I think spring just calls for a skirt and this one is longer and lined so provides a bit of warmth while the weather is still warming up. Mom – Pull & Bear (existing): Another piece to help mix up my skinny jean obsession – my first pair of mom jeans, which I got last season and fell in love with. The loose fit is super comfy and looks so nice rolled up a little with boots or sneakers. White – One Teaspoon (existing): A crisp pair of white jeans will freshen up any outfit! Why wait for summer? Ripped – Mango (existing): Last year I found a pair of ripped jeans with the holes filled in so no sneaky cold air gets in! I love them for casual days, which is pretty much everyday for me! Freyed – Joe’s (new): Classic navy skinny jeans with a frayed hem detail to add a bit of detail. Shorts – One Teaspoon (old): Yes I’m being hopeful with these! Hopeful that it will be warm enough to wear them in spring! But they will also be great for my travels to slightly warmer places during spring. Sandals – Teva (existing): My favourite comfy sandals, perfect for the warmer days and also for the warmer destinations we will be traveling to during spring. Slides – Birkenstock (existing): As well as a pair of sandals I couldn’t help but include my favourite slides too! These are seriously comfy and go with almost any outfit! Espadrilles – Sfera (existing): A cute pair of lace-up espadrilles are great for days when you want just a little bit of coverage because it’s not quite warm enough for sandals, but you totally aren’t going to wear sneakers again!!! Sneakers – Puma (new): I’ve been eyeing off these white, ribbon laced sneakers for a few seasons now. I love the ribbon detail to add a feminine touch, and that they are still basic enough to pull off with most outfits! Chelsea Boots – Sandler (existing): These ankle boots are a great neutral shade and pair really well with skirts and dresses. Lace up boots – Wittner (existing): If you like heeled boots for something dressier this is probably what you would have instead of these. But I don’t do heels, so this is my version of the dress-up boot! Winter Boots – Panama Jack (old): I’m not totally in denial that we will still be having some cooler days before summer arrives, so I am including these winter boots which are super warm and snow proof! 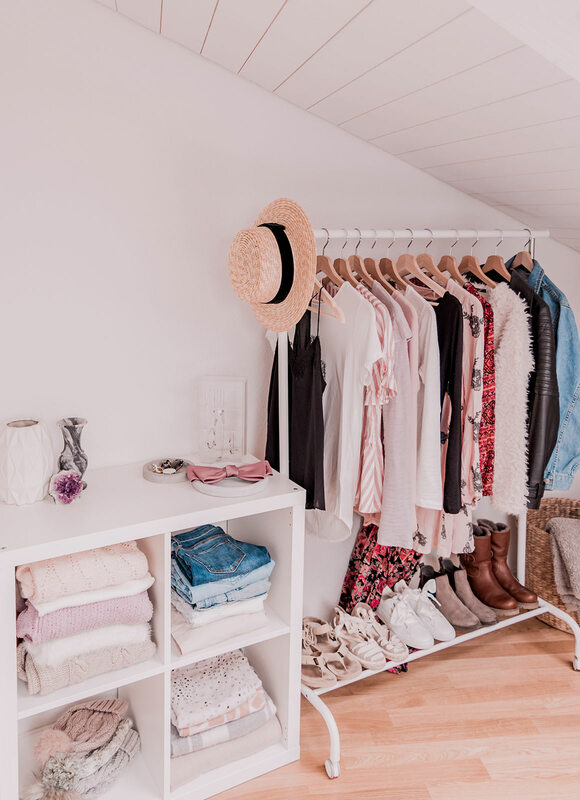 This capsule wardrobe has been put together for a northern hemisphere spring so is suitable for temperatures ranging from 8-20°C (45-70°F). Incorporating a combination of comfy short sleeved and long sleeved tops, soft sweaters, warm jackets and coats and versatile shoes, my spring capsule wardrobe has plenty of layering options to cater for the cooler days at the beginning of the season to the warmer days as we head into summer. The base pieces for this capsule wardrobe are neutrals – white, beige, and black. I tend to make at least half of my wardrobe neutrals for two reasons. Firstly (and most importantly) because I really like wearing neutrals, and secondly because it makes mixing and matching different pieces so much easier. It’s also great to choose your staples in neutral colours so that they are more timeless and so you will get more wear out of them. I’ve chosen three accent colours for my spring capsule wardrobe – lavender, pink and coral. I wanted to add more colour because spring is such colourful time with easter celebrations, flowers blooming and sun shining. I’ve weaved these accents through with some basic pieces and some feature pieces. Want to see how I edit down and pack my ’18 spring capsule wardrobe for carry-on only travel? I’ll be adding to this list as the season goes on. Amazing capsule as always! Do you have had any custom fees with nordstrom? Because I’m from Switzerland as well and it can be very expensive! Hopefully we will have some better options in Switzerland soon! 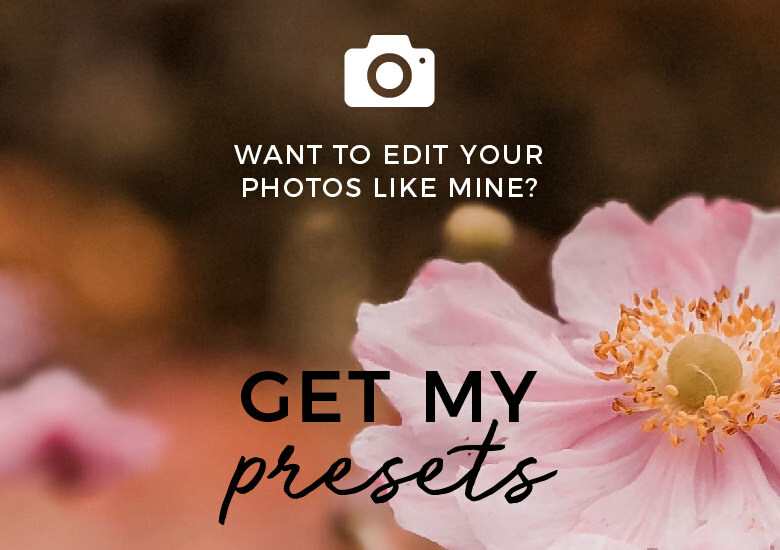 Hi, I would love to shop your post but many of the photos don’t link to items, they just take me to Pinterest. Thank you so much Mahiya! So happy to hear you like it!